Projects - Albert Harlow & Sons, Inc.
Al Harlow started Click IT in 2012. It is now profitable and successful, and the model for this type of business has been perfected, with a solid and dedicated staff. After these many years of forming and creating the systems that run the business, and proving out the model, Click IT has the opportunity to excel quickly as a franchise. This requires the production of a legal document, called the Franchise Disclosure Document (FDD). We completed our Franchise Disclosure Document in January 2019. We gave our first presentation on January 16th to two potential franchise owners. Our goal this year is to sell out the franchise locations (eight of them) in the Cleveland/Akron area. You can also see how the plugin works at a client's site: Click Here. 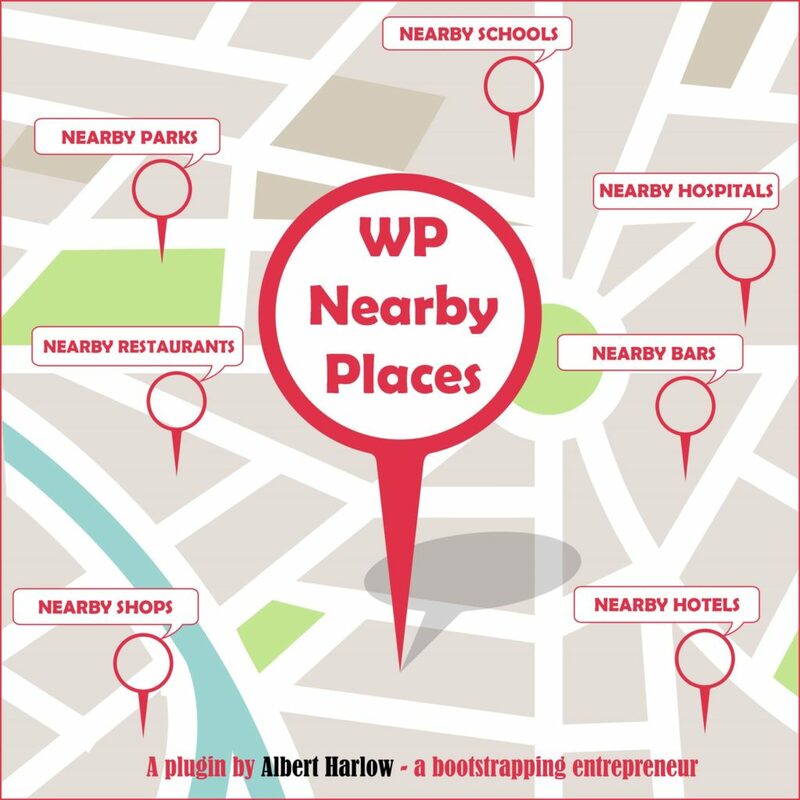 WP Nearby Places was initially built for a website client who had hired Albert to build a new website for his apartment buildings, located in two areas on the east side of Cleveland. His old site used a plugin from Yelp, which did not really work well, for illustrating local establishments like restaurants and stores - places you'd want to know are close by the area if you were considering moving in. There was nothing available that illustrated this in a convenient and dynamic manner. What was needed was an easier, more immediately dynamic way to connect prospective tenants with what the neighborhood had in its surroundings, while also letting visitors know what types of places are around the apartment building locations. So WP Nearby Places was conceived and built using largely the Google developers API. But the concept grew much larger than just being a plugin for displaying area establishments. Two additional versions have been developed: Pro and Premium. The main purpose of the Pro and Premium versions of the plugin is to provide an easy way for people and neighbors to connect and help each other in their organizations by helping them improve their SEO score. This is an exciting development and is positioned to help thousands of website owners build and establish their digital presence. To learn more, visit https://wpnearbyplaces.com. 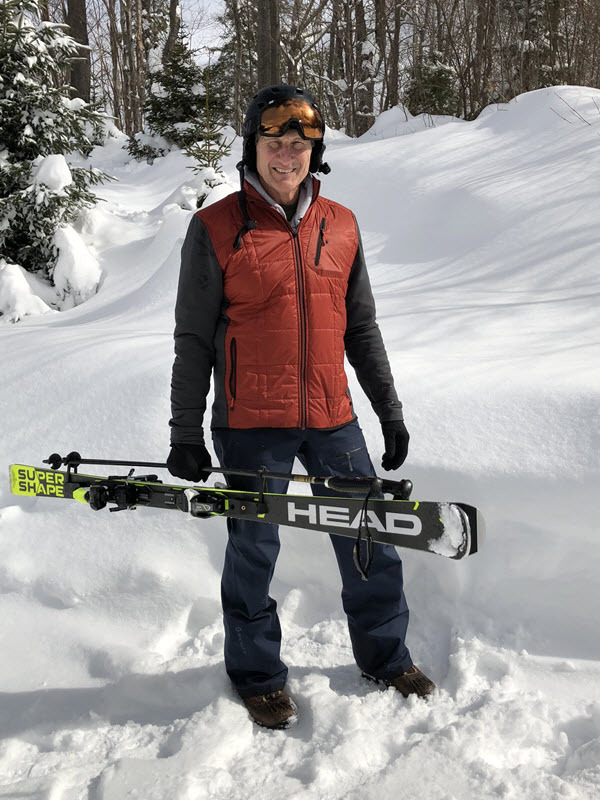 John Vacovec has developed and perfected the Vacovec Ski Carrier (VSC) which is an integrated ski and pole carrying solution that's tape mounted (no screws) and always stays attached to your skies. BEGINNERS, KIDS, AND ADULTS can now carry and store skis and poles easily as one unit, with one hand, like a pocketbook. There's nothing like it. There are patents pending worldwide. "The days of dads and moms carrying the kids' gear is over." Fully designed and tested, the Vacovec Ski Carrier is ready to be manufactured as well as licensed to a binding or ski manufacturer. VSC will be available for sale by the end of the year, 2018, and sold on the Internet as a stand-alone product. Albert is working with John to help get it into the marketplace, so skiers can start to benefit from its features and advantages. Albert built a website to serve as a simple introduction to John's innovative product. If you want to learn more, contact John at (508) 277-8839. He would love to hear any ideas or introductions so we can get the Vacovec Ski Carrier into the hands of skiers to help them enjoy the sport just a little bit more. Visit https://skicarrier.net. You must register in order to view the information and watch the videos. Recently, a ransomware virus called "WannaCry" shut down thousands of businesses across 150 countries and infected hundreds of thousands of computer networks, and it will happen again soon according to the experts. In recognizing this challenge, Al and his team at Click IT developed a comprehensive solution to data-vulnerability and is now offering it at an affordable and reasonable price to small businesses and concerned individuals. Click IT can install this complete security solution anywhere and now offers it to anyone nationwide. The solution is a complete package which includes a 1) hardware firewall, 2) managed anti-virus, 3) online backup and 4) active monitoring by our techs in Chagrin Falls. 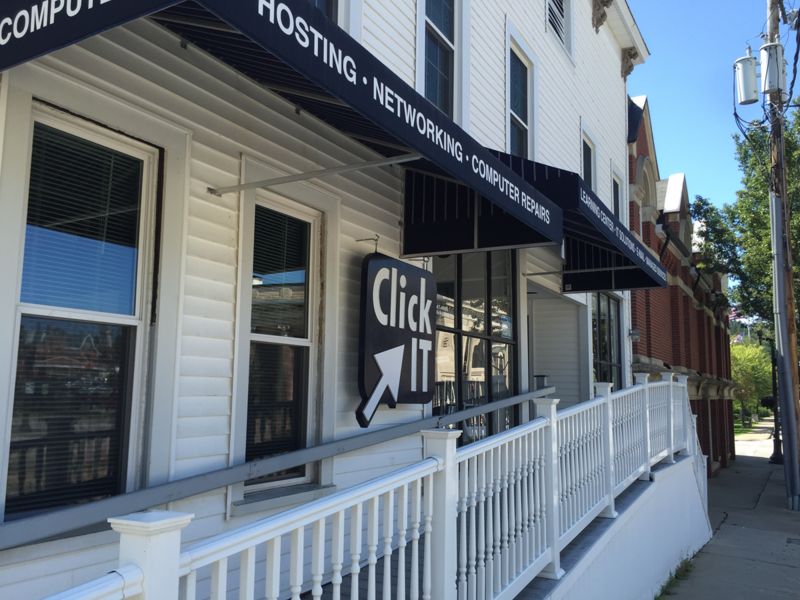 With Click IT Secure, a small business is completely shielded and protected, and not threatened by the possibility of being shut down entirely from ransomware, cybercriminals, and crime-ware. Our protection suite takes care of it all in the background, proactively monitoring and protecting your network and your data from our facility. 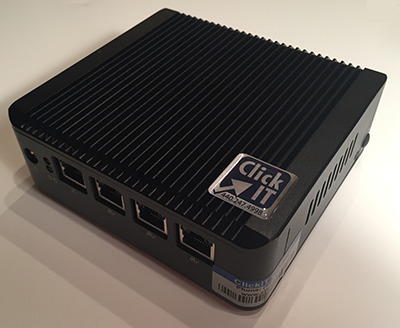 Click IT Secure locks down your network and eliminates data vulnerability. It comprehensively and proactively protects a small business network at an affordable price. Affordable and Sensible Pricing: Click IT, a Cleveland Ohio based I-T company, has been monitoring and protecting hundreds of computers across Northeast Ohio and beyond since 2012. With this proactive and comprehensive solution, it is by far the best protection for the money, designed for small business and offered at an affordable and sensible price. Even if you already have a "tech guy" watching over your network, you're going to want to consider this new approach to data security. See how much you can save with our assured data protection suite. See https://clickitsecure.com for more information. FindMeATech.com was started by Ben Star who had his own computer repair and consulting business in Orange County, California. He wanted to get more traffic to my site without the added expense of Internet advertising, so he created Find me a Tech.com to not only create more traffic on his personal site but also to help out other small businesses like his who are service providers in similar situations. It was and still is a free service. At some point, Albert Harlow registered his company Click IT on it and got familiar with it. He saw that in Google searches, this website would come out often at the top. In early 2018, Ben sent an email to his members looking to sell the website and so Albert negotiated a deal with Ben and purchased it, and did so in June of 2018. Albert in purchasing the website has the simple goal of using it as an advertising vehicle to market his Click IT franchize. His plan is to revamp the website, keeping it a listing service, and get some advertising dollars to pay for it. Going beyond these simple goals, only time will tell. Chagrin Eats was started by Albe Harlow, III when he was just a teenager. Albe has always had a passion for food, and this was one way he could write about it in a public fashion while honing his writing skills. Since starting this blog, Albe graduated from Ohio State University, and then eventually went on to a graduate writing program at Columbia University, where he now lives and works while finishing his thesis and continuing his studies. Even though he resides in New York City, Albe remains Chagrin Eats Editor-in-Chief. Chagrin Falls and its surrounding areas have developed into a foodie's paradise, with lots of variety and choices; and Chagrin Eats promotes this area's advantages on behalf of the community. Carrying on Albe's original desire to write honest and entertaining articles about our daily dining excursions, we have started promotional coupon postcard programs for merchants that are meant to actively promote Chagrin Falls as it continues to develop into a "food-haven" for Cleveland. See https://chagrineats.com for more information.